Jason Appleton a.k.a The Crypto Crow, one of the active cryptocurrency investors and CEO of ‘The Crypto Crow’ youtube educative channel has decided to join Transcodium’s board of advisors. 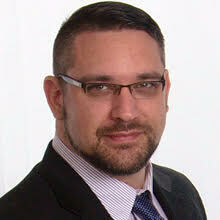 With his vast knowledge in cryptcurrencies, Jason will help the Transcodium’s team during ICO till completion of project.This also marks a great day for the Transcodium’s team as they have gotten a great mentor to help advise and steer them to the right direction on various decisions on the project. Nice Choice in Advisors with Jason Appleton.He is someone that has integrity and will be honest with You and His followers.